عندما تزور صن شاين كوست, ستشعر أنك في بيتك في Headland Gardens Holiday Apartments الذي يقدم لك إقامة متميزة و خدمات عظيمة. يحظى هذا الفندق ذو 3.5 نجمات بمكان ممتاز يسمح بالوصول إلى المعالم السياحية الأكبر في المدينة، فهو يبعد مسافة 3km عن صخب المدينة. يضفي محيط الفندق اللطيف وقربه من حديقة اليزابيث دانييلز, اندر ووتر وورلد, ذا وارف سحراً خاصاً على هذا الفندق. استمتع بالخدمات الراقية والضيافة التي لا مثيل لها بهذا الفندق في صن شاين كوست. يمكن الاستمتاع بمجموعة من الخدمات على أعلى المستويات في الفندق كمثل واي فاي مجاني في جميع الغرف, واي فاي في المناطق العامة, صف السيارات, التوصيل من وإلى المطار, غرفة عائلية. تنعكس أجواء Headland Gardens Holiday Apartments في غرف الضيوف.تلفزيون بشاشة مسطحة, اتصال لاسلكي بشبكة الإنترنت (مجاني), غرف لغير المدخنين, تدفئة, مكتب هي بعض الميزات الموجود في العديد من الغرف. يقدم الفندق مجموعة رائعة من الخدمات كمثل حوض استحمام ساخن, ساونا, مسار جولف - ضمن 3 كم, حمام سباحة خارجي, صيد السمك، لجعل إقامتك تجربة لا تنسى. إن كنت تتطلع إلى إقامة مريحة وهادئة في صن شاين كوست، فستجد في Headland Gardens Holiday Apartments بيتك الثاني. يُرجى ملاحظة أن ساعات عمل المكتب هي من الاثنين إلى الجمعة: من الساعة 9:00 صباحًا إلى الساعة 5:00 مساءً، وأيام السبت: من الساعة 9:00 صباحًا إلى 11:00 صباحًا، ويغلق أيام الأحد. يرجى من النزلاء إعطاء الوقت التقريبي للوصول، وذلك في وقت الحجز. يجب تنسيق تسجيل الوصول المتأخر قبل الوصول الفعلي. We booked this as a last minute retreat and were very happy with our stay. Enjoyed our stay at Headland Gardens, which suited our desire for a quiet retreat to somewhere warm over winter; where all the amenities would be close by. Made use of the heated pool, spa and games room; and enjoyed lounging on our ground floor courtyard overlooking the nicely landscaped grounds. Craig, the manager, was very helpful and personable. Alexandra Headland itself comprises a beautiful beach, busy beachfromt cafe and plenty of local eateries and cafes on the local strip. 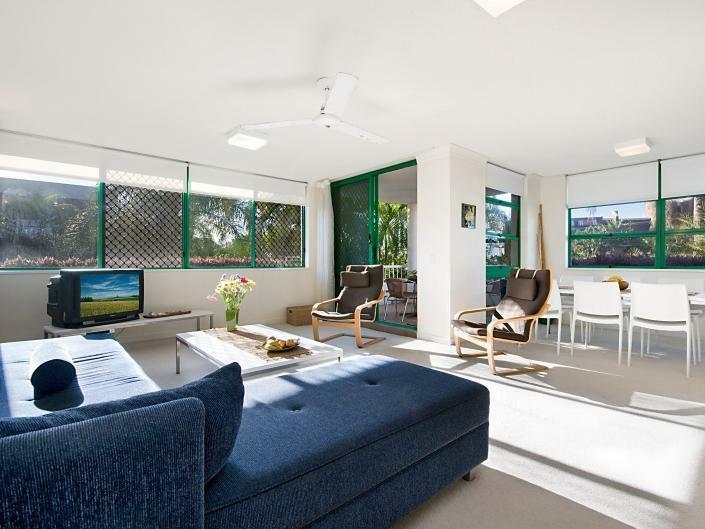 Mooloolaba and maroochydore are walking distance, or an easy bus ride either side, with a major shopping centre and supermarkets and restaurants. This was a fantastic find. The owner was so friendly and extremely kind. It was not a serviced apartment which I mistook for when I booked. But it worked out great for us. It was clean, modern decor and had everything you needed although the building is old and in need of maintenance. It was in a quiet location which was a bonus and very close to the beach. We stayed only a week and loved it. Only negative is there was no laundry liquid to wash clothes but we just got some from the nearby coles. I am sure if we asked the owner he would have provided it. We would definitely stay here again. The 2 bedroom apartment with air-con was a good size. Beds were comfy, but slid around easily on the tiled floor. Bathrooms were dated and shower pressure lower than "usual". Very happy with the kitchen. All in all it wasn't too bad considering the price rate of the room. We were still happy. But is was quite obvious some things need some maintenance attention - e.g. rusty laundry tub/cabinet, broken shower door, bed base ripped. Ceiling fans worked well, however in one bedroom it was high or high. No low setting. Which was kind of annoying. Pool was cool. Well maintained. Sauna needs minor structure work - didn't use it for that reason (as the heat wouldn't have been fully contained). Steam room was also good. Location suited well. 3-5 min walk to the SLSC and other main eateries. I loved the pool area as it was very child friendly, Craig (manager) was very friendly and helpful at all times, the size of the apartment was great for a family with small children. Unfortunately, the apartment was very hot as it did not get the beautiful sea breezes and was not air-conditioned. Either would have been fabulous given the average temperature was 35 degrees during our stay. This was unusual for November however it would stop me staying again in the summer months as it was very uncomfortable. The only other point of disappointment was very uncomfortable beds. They were very hard which given a hot night did not lead to a restful sleep. On a brighter note the apartment was a great size for a family and gave everyone room to be apart or together without being on top of each other. The kitchen was well set up and had everything you need to have a relaxing holiday. The manager Craig was very helpful and was always will to assist whenever needed. He kept the grounds and pool in great condition and spotlessly clean. The pool was great and well used by one and all. Overall a lovely break. Central to other locations in the area, local Resturants & clubs, good area for walking. Yes, but would not book through your Web Site. I would go direct to Headland Gardens. I would never again go through your Web Site & I have lodged a complaint with the department of consumer affairs here in Australia. Headland Gardens was located one street away from the beach. Close to all main attractions and restaurants. 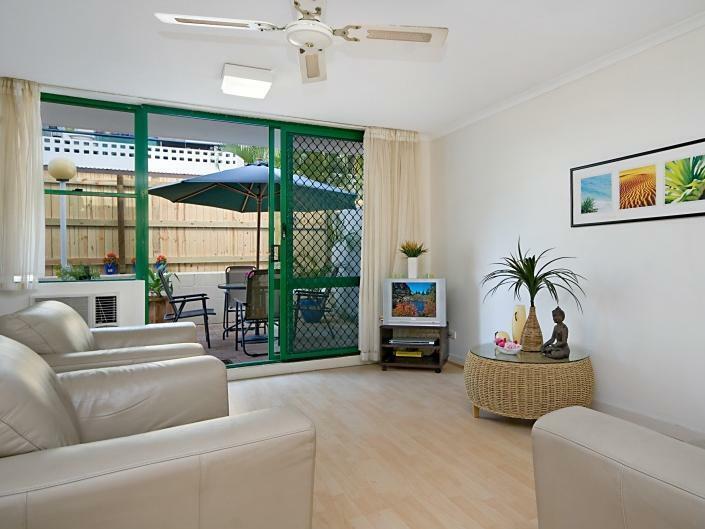 Good clean self contained apartments with very friendly hosts that could not do enough for you. We would love to come back and stay again in the future. Awesome place and very central, great pool and spa. Clean, ease of access to carpark and room size. Very pleasant. A great place to stay for a holiday stay. We had a great stay at Headland Gardens Holiday Apartments. 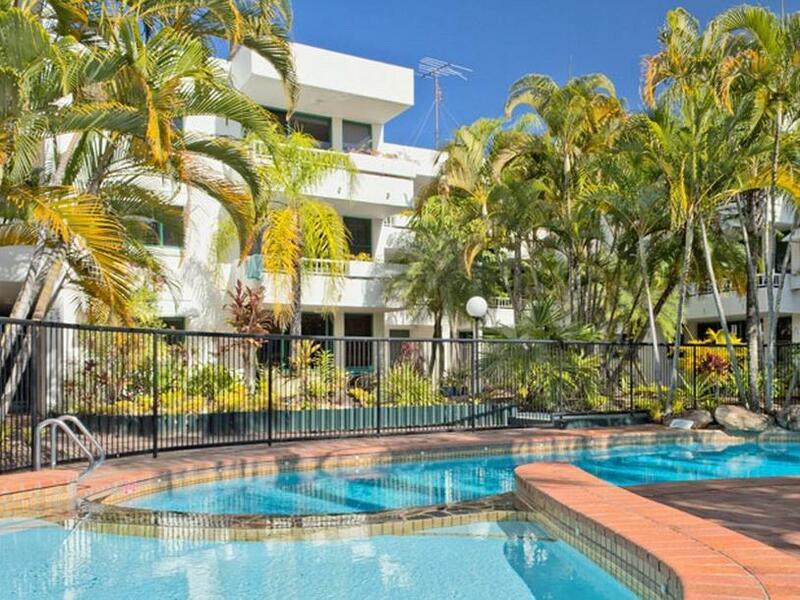 Only metres from the beach, a short stroll to yhe shops, and even walking to mooloolaba was only 10 minutes. The pool and activity room was terrific. Room was perfect with a massive TV. We'll be back! the morning walks to great breakfast cafes. great shopping at mooloolaba shops (we particularly enjoyed the David Hart Galleries - Son of Pro Hart). Enjoyed dinner at some amazing local restaurants. The staff were amazing and looked after us so well. Our brief stay was very relaxing. 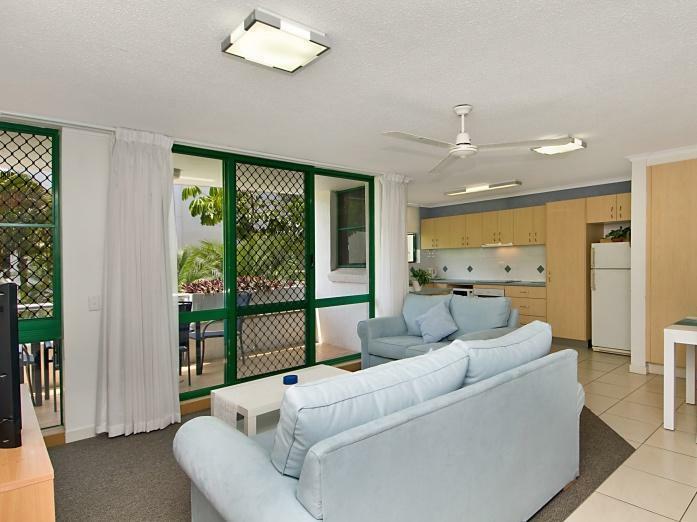 We will stay here again and recommend Headland Gardens Holiday Apartments to all our friends. Close location tofavourite surf beach yet quiet away from the road. Good staff, comfy rooms. Just what we have been looking for in Alexandra Headlands! Good price, convenient, pleasant. we had a very pleasant stay and enjoyed the tropical garden views, the pool and the sauna. the apartment was basic but clean and roomy, and we felt at home when we were forced to stay indoors on rainy days. it rained for a week while we stayed there and the underground garage got flooded one day, and some water came into our bedroom as well from the backyard, but the friendly managers were very helpful and it didn't cause much of a problem. headland gardens is close to big shopping centres and stores as well as the beach, yet in a quiet area. nearby mooloolaba offers a variety of restaurants and the underwater world aquarium - perfect for a rainy day. there was no a/c in our apartment. the ceiling fans kept a nice breeze going, which was enough since temperatures were mostly around 25-26c when we were there, but you might miss air-con on hotter nights. Mycket prisvärt. Tyckte dock att 2 toarullar för 8dagar var lite snålt. Bubbelbadet i "spa-avdelningen" (aka receptionen) var inte varm och ångbastun var typ ljummen. Väldigt trevlig personal!